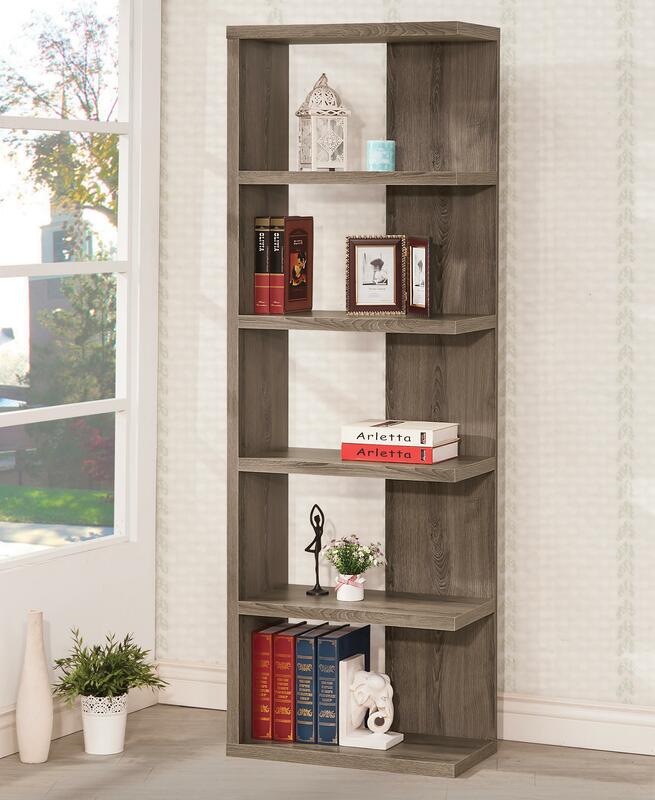 Modern casual in style, this unique bookcase has a weathered finish that complements its semi-backless asymmetrical design. The five shelves of the bookcase allow you to display your favorite photos and decorative items. The Bookcases Weathered Grey Semi-Backless Bookcase by Coaster at Sam Levitz Furniture in the Tucson, Oro Valley, Marana, Vail, and Green Valley, AZ area. Product availability may vary. Contact us for the most current availability on this product.